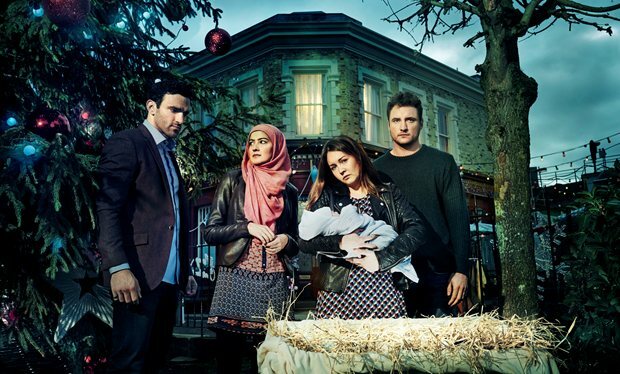 APP collaborated with mental health charities Mind and Bipolar UK to help create one of the biggest EastEnders storylines for Christmas 2015 and into the new year. This sees the character Stacey Branning (played by actress Lacey Turner), who has Bipolar Disorder, become ill with Postpartum Psychosis following the birth of her child. After contacting the charities, the EastEnders production team talked to mental health experts and women with first-hand experience of the illness to help create a realistic storyline for Stacey, in particular showing that Postpartum Psychosis is not the same as Postnatal Depression. APP Trustees, Clare Dolman, who has personal experience of the condition, and Professor Ian Jones, a leading expert on Postpartum Psychosis, commented on draft scripts, and members of APP’s support network with personal experience of PP visited the EastEnders studios, talking to the scriptwriters, the actress and her on screen partner. APP was not involved in final approvals of the scripts. Although Stacey's story can't represent all women who have Postpartum Psychosis - every experience of the illness is different and individual - APP hopes that the EastEnders portrayal will go some way to raise awareness of the symptoms, help reduce the stigma surrounding this mental illness and help those who develop Postpartum Psychosis get diagnosed and treated more quickly.